That's an interesting idea I read about the other day. You may have read before that NASA has some tentative plans for a manned asteroid mission, which is an interesting idea because it's both harder and easier than going to the Moon again, and much, much easier than going to Mars. An asteroid is easier than the Moon to explore in spite of being farther away (near-Earth asteroids at closest encounter are still usually ten or more times farther away than the Moon) due to having almost no gravity, which makes the return trip a cinch compared to the Moon where you need to break free of its significant gravity before returning to Earth again. Those missions being proposed would last a few weeks, and would take place around an asteroid's closest approach to Earth. 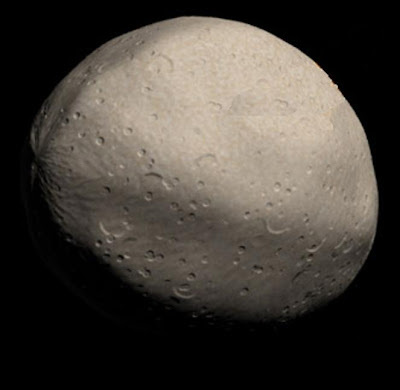 One interesting object that might make an interesting target for exploration though is 3753 Cruithne, which is sometimes called Earth's second moon due to having pretty much the same period of rotation as the Earth, which results in a close encounter every year even though its orbit actually takes it past Mars at aphelion and closer to the Sun than Venus at perihelion. This yearly close encounter is a big advantage for a long-term mission compared to other asteroids that only approach Earth once every five to ten years or so, after which they will miss the Earth by quite a ways for the next few rotations until another close approach happens again. You can see an animation of the orbits of Earth and Cruithne here. The idea I read about would first involve sending a probe to Cruithne in order to ascertain just what kind of asteroid it is at first, after which a lander or two or three could be sent that would do some of the initial exploration and preparation for a human mission. You'll notice that right after close approach to Earth the asteroid moves in quite close to the Sun, so unless the probe is nuclear powered this is when most of the heavy exploration or work would happen, and it would also necessitate either an advantageous location sheltered from the Sun or a ready-made habitat that would protect from the radiation, because as soon as humans land on Cruithne it would already be closer to the Sun than Earth and closing in fast. Okay, but the asteroid is only 5 km in diameter. Isn't that pretty tiny for a first year of exploration? Well, let's imagine what Cruithne looks like for a second. Let's pretend that this is what the asteroid looks like. Now take a look at this picture. It's the reservoir in Central Park in New York, which is pretty big. It's a panorama so you should click on the image to get a better idea of the scale. Now let's take all of Central Park and put it on that 5 km asteroid. Now it looks like this, with the reservoir in the middle. That gives an idea of the scale of this asteroid we're talking about - you could actually fit a total of 23 Central Parks on the surface of this asteroid (Central Park is 3.4 km2 and the surface area of Cruithne is about 78.5 km2). Considering the limitations astronauts have in travelling outside where there is no atmosphere, this is certainly enough space to explore. Now what would be the point of such a mission? Not only the scientific opportunities, but also the opportunity to have a one-year mission, and to have a first-person experience of what the Sun is like from close to Mercury all the way out past Mars. As a potential waystation later on it is also very useful, as craft/probes can be sent up from Earth with minimal fuel, land on Cruithne, refuel and then later take off again to reach other destinations. Since the Moon and Mars have such strong gravity wells any missions there would involve a pretty nerve-wracking second launch, but astronauts on Cruithne wouldn't need to worry about this - they would just wait for the year to end whereupon they would approach Earth, and they would leave the asteroid at the right time to arrive back on Earth having used almost no fuel at all. Since the escape velocity is a mere 9.4 kph, the astronauts would simply have to "undock" from the asteroid and set a course for home. That would probably be the most unnerving thing about exploring Cruithne though - one strong jump and you would leave the asteroid's orbit and be sent who knows where. Astronauts would probably want to use some sort of rope they could hold on to to help walk properly, or perhaps have some kind of personal thrusters on hand just in case. In any case, the first step is always sending a probe, and this is something that I'd like to see "lesser" spacefaring nations like Japan/Canada/India/etc. do, as it could be done for a fairly low cost. We have sent dedicated missions to asteroids before so there's no reason it couldn't be done again. If Cruithne's that small, I'd be worries that repeated landings and launches might alter its orbit. That might not be so friendly given how close it comes to Earth. Vous savez, bien sur, que Cruithne (pron. Croonya) veut dire Picte en gaélique d'Écosse. Ces hommes mystérieux. Je me posais la question. Je suppose alors que ça vient de "Britannus"; tout comme le mot "clan" viendrait de "planta". I think this is a great idea, the fact that we can get past mars, close to the sun and then just jump of at the right time to get back to Earth with only a small amount fuel is an amazing idea and it would take less than a year, 364 days in fact because 3753 moves faster than earth. Though JimDesu is right as well, because of its extreme close orbit to the Earth it would be catastrophic if it was knocked out of its orbit and hit Earth. What if we were to mine out a hollow cavity inside Cruithne and build a base inside? The surrounding rock would sheild the base from solar radiation. Solar panels could provide elecrical power. In effect, the asteroid could become a ferryboat with regualr close encounters with all the inner solar system planets.